India is set to play 1st Test match against South Africa for the series of India tour of South Africa 2018.
Who should open for India in the World Cup? Dhawan-Rahane or Dhawan-Rohit? Steve Smith has set up a world record by scoring 770 runs in the ongoing Border-Gavaskar series, but, Virat Kohli might surpass him with a big hundred tomorrow. Which of these two captains would end up as the leading run scorer??? 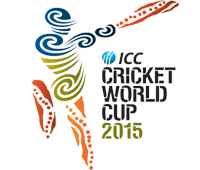 Who will win the Cricket World Cup 2015 ?